Reaction Corps was lost for a while to that Great Pit of Carkoon known as the whirlwind lead-up and post-show glory-basking of The Force Awakens. But just like Boba Fett (probably) (but actually probably not), Reaction Corps has jet-packed itself free from the slimy maw of the all-powerful Sarlacc. What was the impetus for this great escape? The brilliance known as “The Honorable Ones” on Star Wars: Rebels. “The Legend of the Lasat” was almost enough to pull us out, though. In fact, we basically did a mini Reaction Corps on episode #27: Happabore Backwash, complete with a music cue and everything. Anyway, since it had been a while, we first did a quick re-cap of season 2 so far. Then we dove right into the intricacies of The Honorable Ones. We talk about the construction modules around Geonosis and how they bear a striking resemblance to Ralph McQuarrie’s concept art for the Death Star(s) II. Here are the two images that I showed the kids. It’s this strange sort of visual cannibalism that I really appreciate: Concept art for Death Star II becomes the construction modules that helped make Death Star I. Cool. How did the Empire know the Rebels were coming? Just how common is the word “sleemo” in that galaxy far, far away? Why doesn’t the Geonosian queen from the Vader comic show up on their bio scans? Maybe she wasn’t on the planet at the time? She was one of the few Geonosians who weren’t on Geonosis when the “sterilization” took place? She returned the lone surviving Geonosian and, in desperation, tried to mechanically recreate her species? These are questions to which we may never have the answers. But it’s fun to think about. Was it weird to see Kallus and Zeb just sitting there talking to each other? Did it make sense? We get pretty deep into who Zeb and Kallus honored in this episode. It’s true that they’re honorable to each other and themselves, but what about the factions they belong to? Is Zeb honoring his Rebel friends when he doesn’t take Kallus into custody? Does Kallus honor his vow to serve the Empire when he doesn’t kill the rebel Zeb? This personal reconciliation between enemies could have drastic effects down the road. What will happen the next time Zeb and Kallus meet? What will happen if their respective factions find out what they did (or didn’t do, in this case)? But on the positive side, could Kallus become an informant on the Empire? Could he join the Rebels? This is the point in the episode where I play a clip from our very first Reaction Corps episode, where I consider the possibility of Kallus defecting and joining the rebels. We play a clip of that to make me feel good about myself. Why does Admiral Constantine disregard Kallus at the end? What will his life in the Empire be like now? Why does he keep the meteorite? Final question: Could Kallus and Zeb both leave their factions and have their own odd couple adventures? He’s a neat freak who’s a stickler for the rules. He’s a shedding Lasat who likes to put his feet up. Coming this fall to ABC Family, it’s Imp and the Lasat. Only five more episodes left in season 2! Thanks for reading and listening! 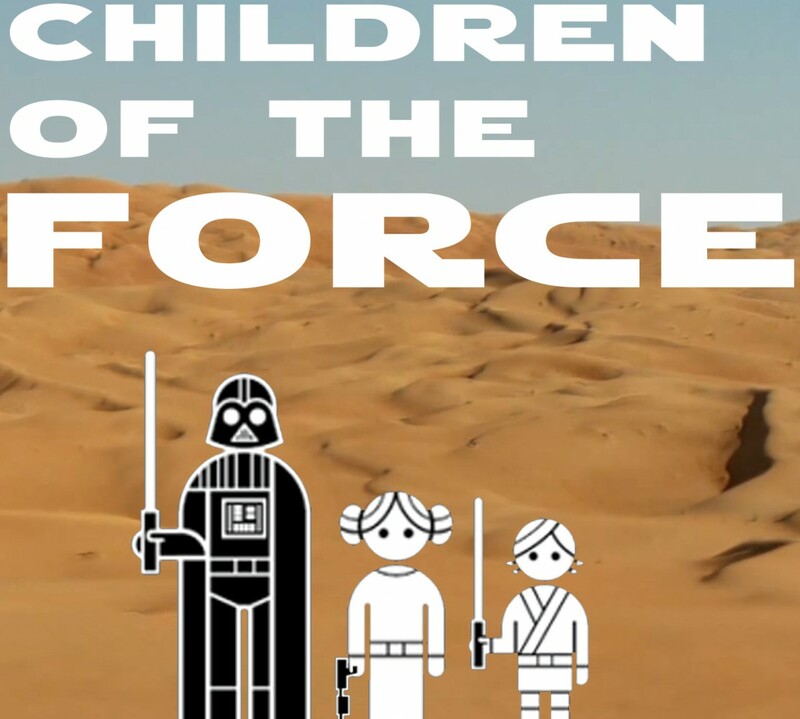 Send us a voicemail or email us at forcechildren@gmail.com if you want to take part in the discussion or just give us some feedback.